Investors are betting big against Lyft, days after the ride-hailing company’s initial public offering. Traders have borrowed $445 million in Lyft shares since its IPO, according to data from IHS Markit, a market-intelligence firm. Newly public companies are often a boon for short sellers as investors look to make money on waning enthusiasm in a stock after all the IPO hype. Lyft has fallen nearly 20% from last week’s opening price. Investors are already placing bets that Lyft shares will face even more severe losses than the almost 20% drop they have suffered since Friday’s initial public offering. As the newly public ride-sharing company trades well below its opening share price and analysts voice concern over Lyft’s uncertain path to making a profit, short sellers have borrowed $455 million of shares, according to IHS Markit Securities Finance data. In other words, traders are betting the stock will fall further from here. Tuesday was the first settlement day for Lyft shares, meaning traders can borrow them to settle short sales. Market participants saw 1.56 million in “new borrows” on Tuesday, according to IHS Markit. In the overnight settlement report, which came out on Wednesday morning, there were 6.61 million shares reported as “on-loan,” representing a market value of $455 million. Alexandra LaManna, a spokesperson for Lyft, declined to comment. The sheer size of the bets mounting against Lyft may not be the most striking thing about the short data. According to Markit’s analysis of borrowing activity and the associated fees, Lyft has already become the most expensive US-listed stock to borrow — with over $5 million in balances. Lyft priced its IPO at $72 a share last Thursday evening, and opened for trading on Friday at $87.24 a share. After a volatile few days of trading, the stock traded just above $69. 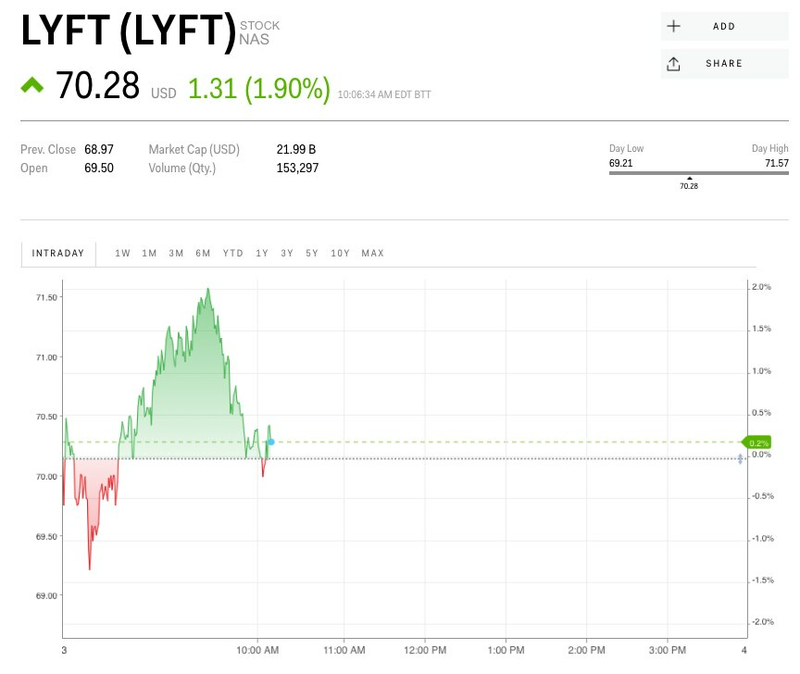 To be sure, it’s so early in Lyft’s life as a public company that the first few days of trading may not be indicative of where the stock will actually go from here. But Wall Street analysts are increasingly wary of risks surrounding the company. The stock garnered its first “sell” rating from an analyst on Tuesday. Newly public companies often attract short sellers who look to capture waning momentum in a stock following an initial public offering, said Sam Pierson, the director of securities finance at IHS Markit, in a report out Wednesday. “Timing is the key, which is why short sellers are often willing to pay extraordinary borrow fees for IPOs,” Pierson said. 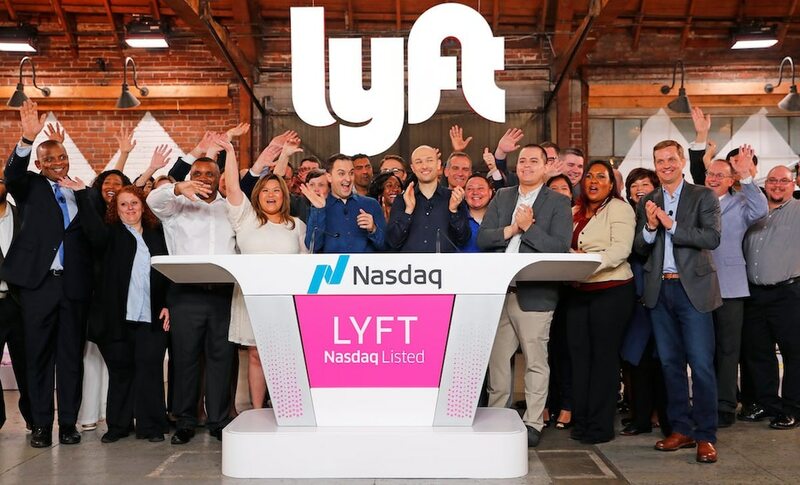 Investors will soon have the ability to trade Lyft options contracts, which are expected to launch on Thursday, Cboe Global Markets said earlier this week.